Antique Time Business Page of Facebook. Did you know that we have a business page on Facebook? It's actually been there for many years but we never really used it very much until recently. So we would like to invite you to check it out. And while you are there, please give us a Like. Antique Time Facebook Business Page. Thanks for taking the time to visit. Old Rolex showing how radium on the dial and hands burned the crystal. These old radium dials and hands used by Rolex are very dangerous. It's also a well known fact that workers hired to paint these dials died horrible deaths. 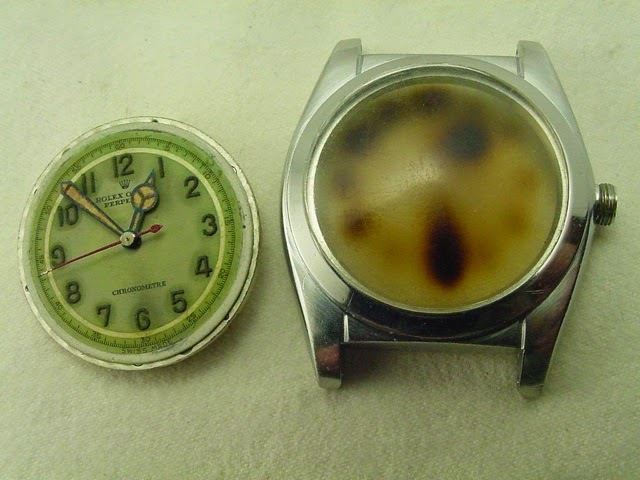 The above picture shows the dial and how it burned the plastic crystal. 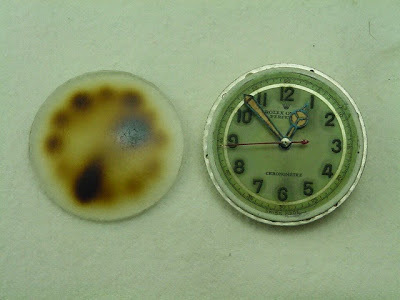 The dial also shows damage from the radium. 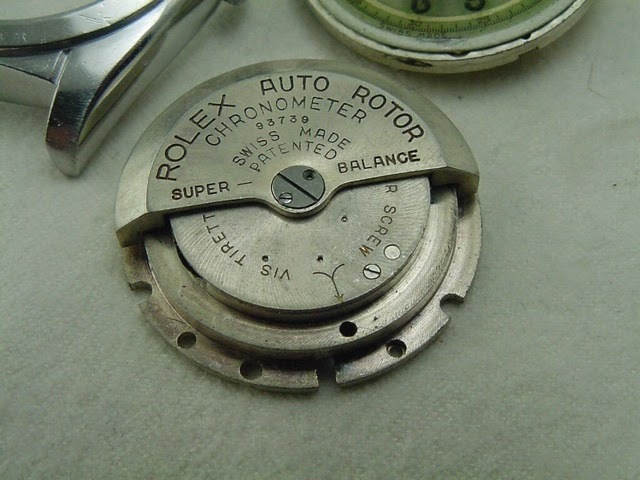 Above: The dial attached to the movement and the case with crystal attached. 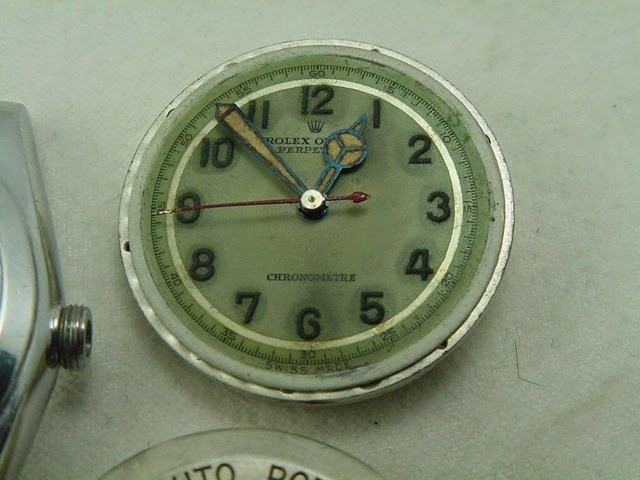 The age of this watch can be seen by the old auto winding mechanism.